To meet the diversified requirements of our prestigious clients, we are engaged in offering Liquid Filling Packaging Machine. 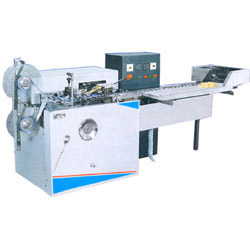 Established in the year 1995, at Rajpura (Punjab, India), we “Alten Engineerings” are a “Sole Proprietorship Firm”, instrumental in manufacturing, importing, exporting and supplying a premium quality range of Tin Filling Machine, Packaging Machines, Rinsing Machine and Bottle Filling Machine. Under the management of our mentor “Mr. Baljit Virdi (CEO)”, we have attained wonderful accomplishment in this domain. We export these products to Thailand. We offer our products under the brand name of Alten.